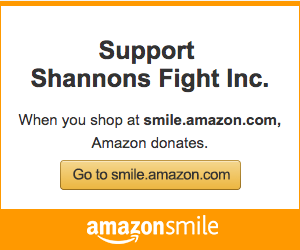 Join us for Shannon’s Fight: Comedy Night! Meet us at Governor’s for a night of laughs and good will as we host another fundraiser to benefit families in medical crisis. 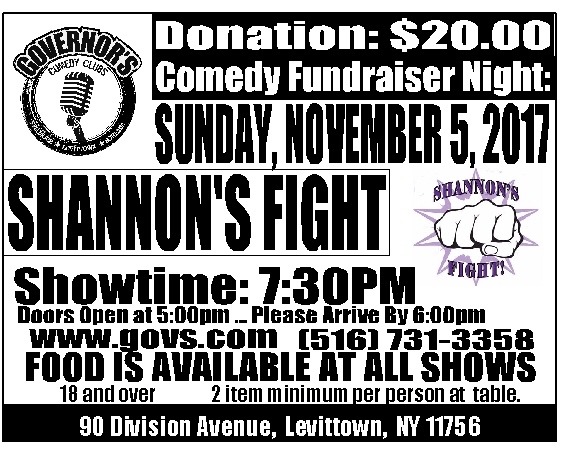 The event will be on Sunday, November 5, 2017 at Governor’s Comedy Club located at 90 Division Avenue, Levittown, NY. Showtime is 7:30pm and doors open at 6:00pm. Please arrive by 7:00pm. this show is 18 and over and food will be available for purchase. The is a 2 item minimum per person at each table.